Feb. 22, 2011 6:00 a.m. Protesters call for the downfall of Libyan dictator Moammar Gadhafi Tuesday at the B.C. legislature. Protests were staged around the world as Gadhafi lashed out against a popular uprising from the Libyan people. Protesters gathered at the B.C. legislature in Victoria Tuesday, calling for the downfall of Libyan dictator Moammar Gadhafi. The demonstration took place at the lunch hour, shortly after Prime Minister Stephen Harper visited Victoria and denounced Gadhafi’s violent reaction to the protests that have sprung up around the North African country. 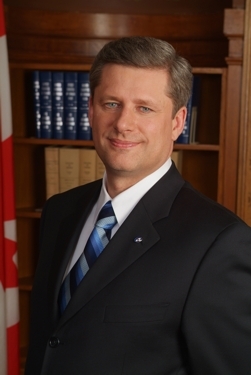 Harper announced in Victoria that the Canadian government is working on a plan to evacuate Canadian citizens from Libya. Foreign Minister Lawrence Cannon said in Ottawa there are 331 Canadians registered with the Canadian embassy in the capital Tripoli, and more than 90 have asked to get out. The Libyan military has fired on protesters, and Gadhafi gave a defiant speech Tuesday saying he will die before he leaves the country he has ruled for 30 years.